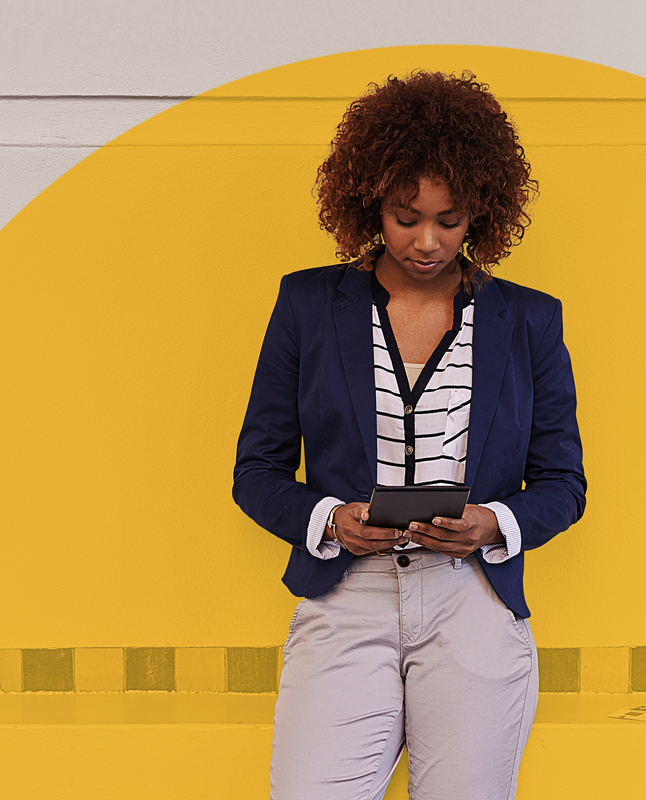 Today users aren’t limited to one device – which is why they need to extend their antivirus and Internet protection. 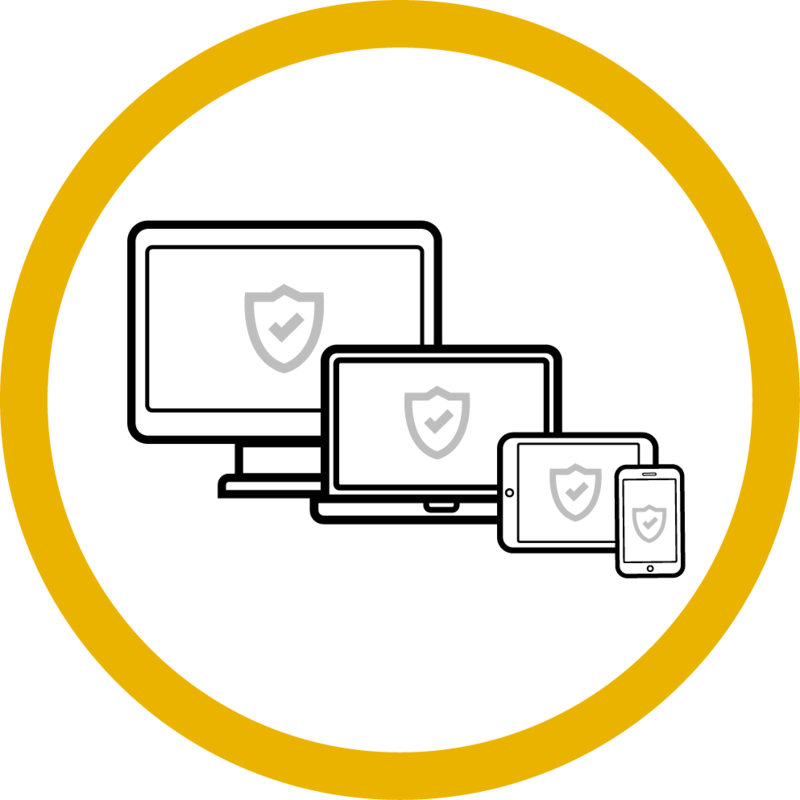 Norton by Symantec offers a product that protects every device (computers, smartphones, tablets) the user owns, with a single solution. Discover the benefits of using this product. This module will take about 15 minutes to complete. 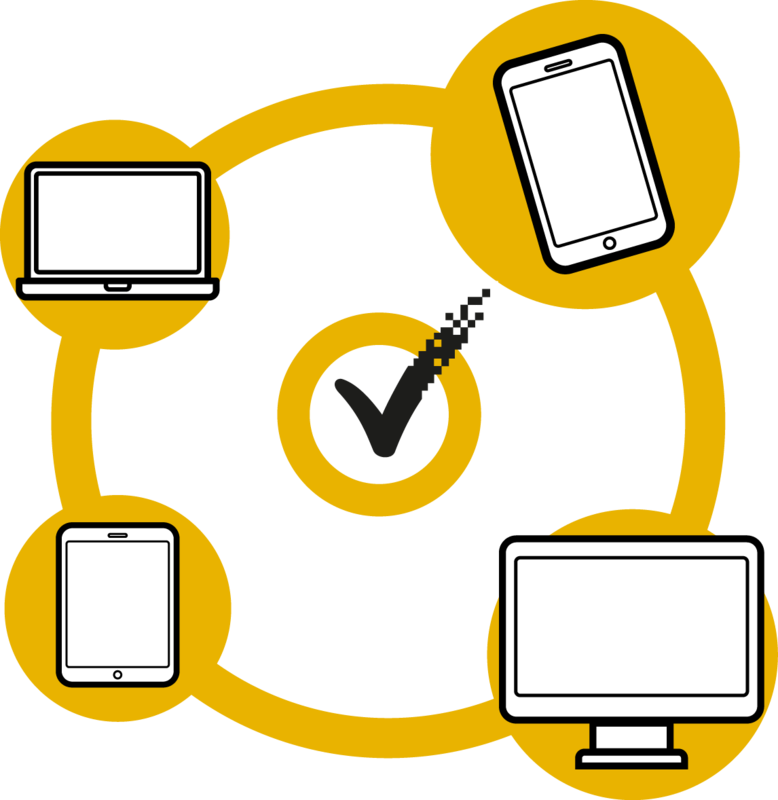 Product X puts the best of Norton on the devices of the user’s choice. It comprehensively guards their device or devices from viruses, online threats, identity theft and financial scams. It protects smartphones and tablets from loss and unwanted access to messages, contacts or photos. 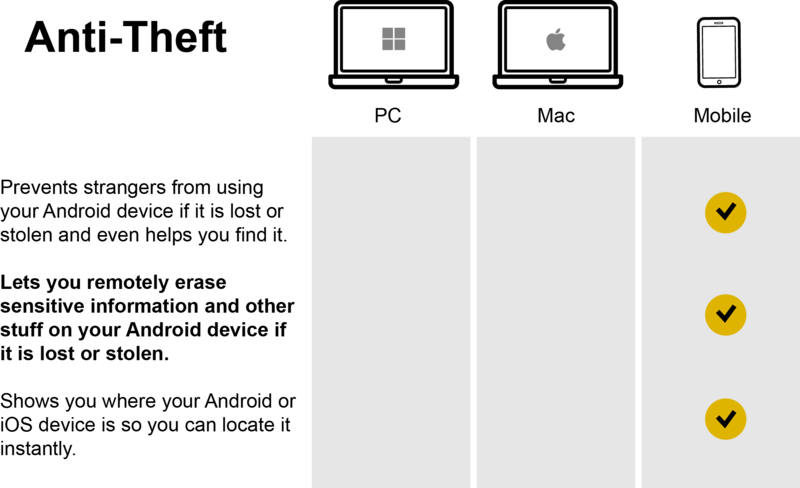 It lets users protect up to five devices with a single license, and conveniently manage those installations from an online account. 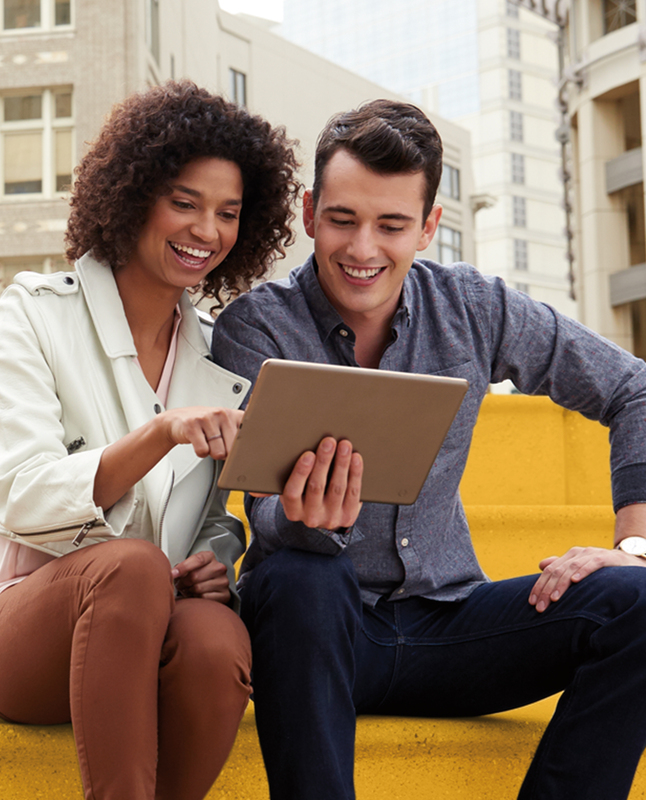 Adding new devices or moving protection from one device to another has never been easier. Why should users choose this product? 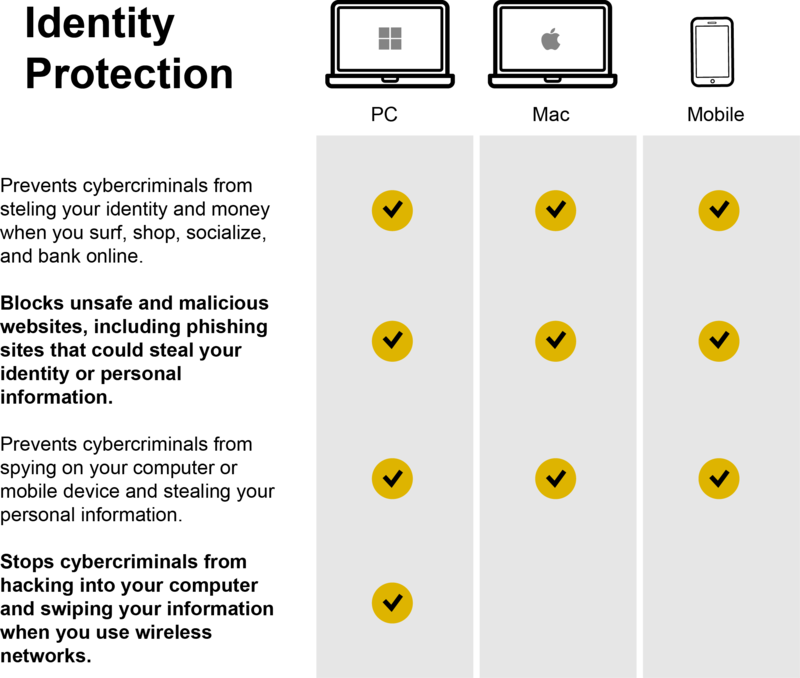 It offers users rock-solid Norton protection on up to 5 PCs, Macs, smartphones or tablets with a single subscription. It protects the user's devices with comprehensive patented technologies that work as a team to outsmart online threats. Its always-up-to-date feature automatically downloads and installs important product feature updates when the user is not using the device. 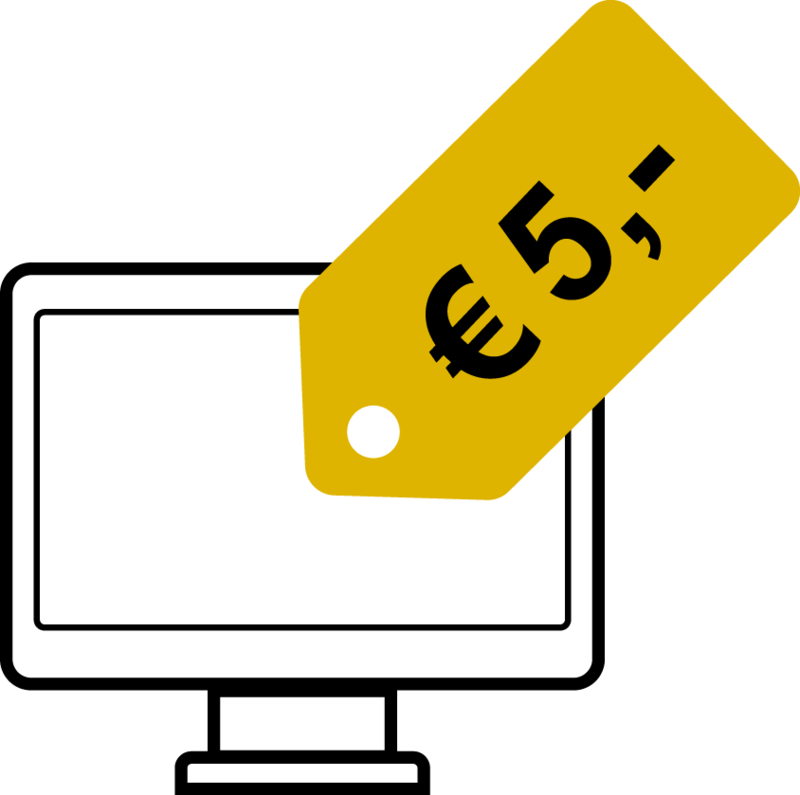 A subscription is only €5 per month, making it one of the most affordable multi-device security software on the market. On top of that, Norton offers users one free month for this particular product. Users can unsubscribe at any time. 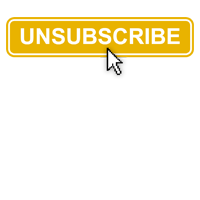 If they unsubscribe, the subscription will remain active for the duration of the subscription they have already paid for. Product X offers a wide range of powerful features. Four of these are highlighted on this page and the next one. Prevents strangers from using your Android or iOS device if it is lost or stolen. Let you remotely erase sensitive information and data on your device if it is lost or stolen. Shows you where your device is so you can locate it instantly. Product X includes Norton’s Safe Web for Facebook which provides automatic ongoing protection by scanning news feed posts for dangerous downloads and links to unsafe websites. Once a threat is found, it warns the user and their friends. E-mail Alerts - for instant updates on online activities taking place at home. PC performance is a major concern for users. They expect advanced technology to be effective with little to no system impact. 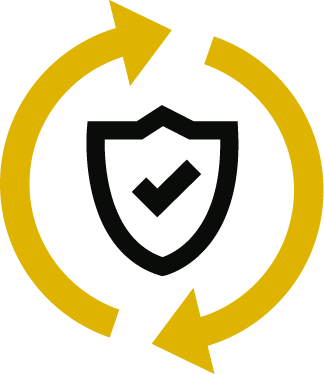 Symantec has succeeded in dramatically reducing Norton products’ impact on the performance of its customers’ PC by slimming down and speeding up elements. Now users may not even notice a performance impact on their systems when they use this product. 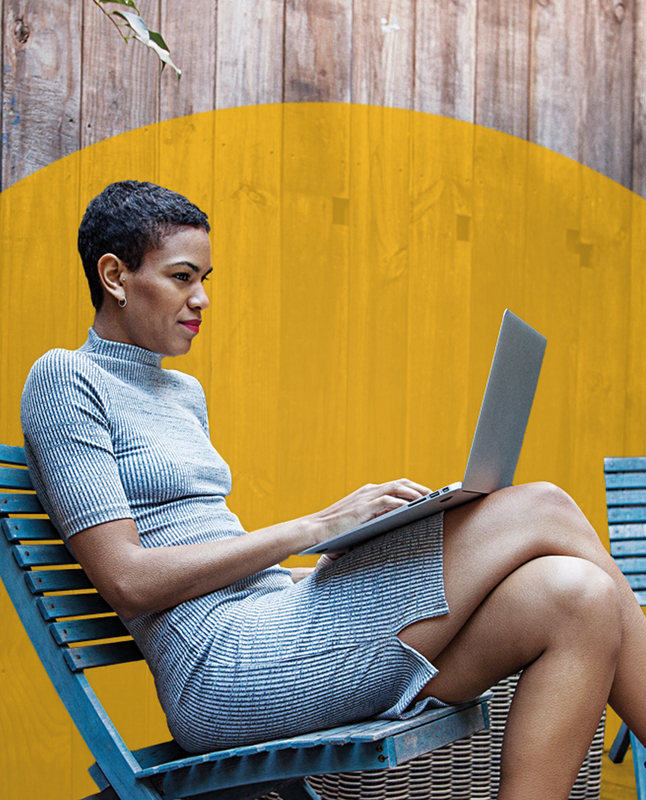 Product X gives customers the best of Norton for the many ways they connect with their PCs, Macs, smartphones and tablets. Besides simple, integrated add-ons and the guided online set up flow, Product X has numerous other exclusive benefits. Let’s go into detail about these exclusive benefits and to which devices they apply. What do you already know about the benefits of this product? Try to answer the questions on the next pages. Which device(s) do you think supports this benefit? • Allows you to e-mail, chat, and download files with protection from threats, cybercriminals and online scams. To remove the pin you placed on an image, click on the 'X' which appears when you hover over the pin. 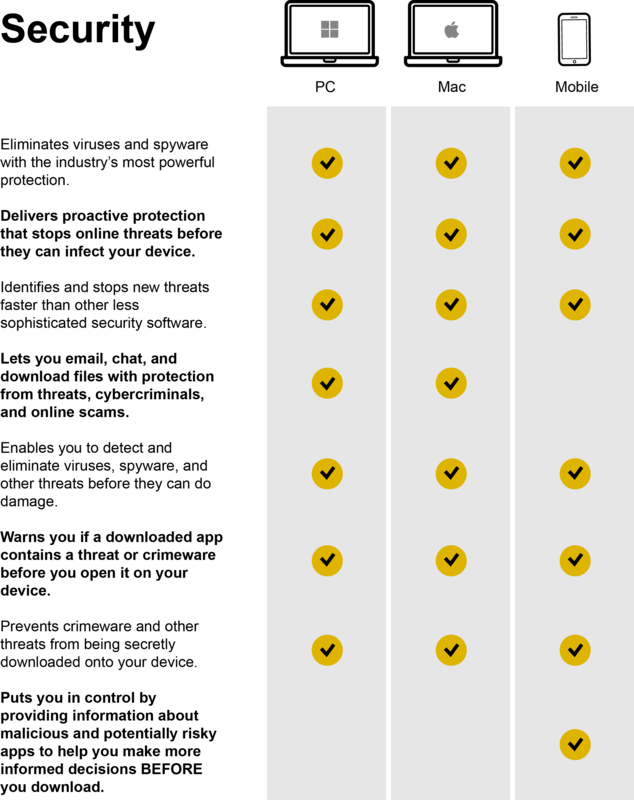 Do you know to which device(s) the following security benefit is applicable? • Warns you if a downloaded app contains a threat or crimeware before you open it on your device. Select the device(s) you think support this benefit. • Puts you in control by providing information about malicious and potentially risky apps to help you make more informed decisions BEFORE you download. This is the full list of security benefits. Try to remember the functionalities each device supports. Moving on to identity protection, which device(s) supports the following identity protection benefit? • Blocks unsafe and malicious websites, including phishing sites that could steal your identity or personal information. Do you know to which device(s) the following identity protection benefit is applicable? • Stops cybercriminals from hacking into your computer or swiping your information when you use wireless networks. This is the full list of identity protection benefits. On the following pages, you’ll be presented with a few scenarios with customers asking you questions about the benefits of this product. What kind of advice would you give them? How would you answer Michelle’s question? What would you tell Jim and Tracey? You’re chatting with Jenna, an accountant for a food company. She’s very interested in the product, but wants to know more on its benefits for her mobile devices. How would you answer Jenna? In order to use Product X, the following system requirements apply. Additionally, an Internet connection is required (a high speed Internet connection is recommended). Product X covers PCs, Macs, Androids, iPads and iPhones. You have reached the end of this module. If you want to test your knowledge, go over to the quiz about Product X. To open this you have to return to the learning management system.